I made this lovely Kay Unger dress in some beautiful stretch cotton sateen with a stylised floral print. I purchased the fabric a few years ago from the Fabric Collection at Mount Ommaney and have been waiting for just the right occasion to use it. The dress code for Tina’s wedding was “garden party” so, since the print reminds me of Monet’s style of painting flowers, I decided it would be perfect. I have made this pattern before so any fit issues had been addressed. Even though I am not a svelte shape, I believe a well fitting garment that skims rather than envelopes is quite flattering. 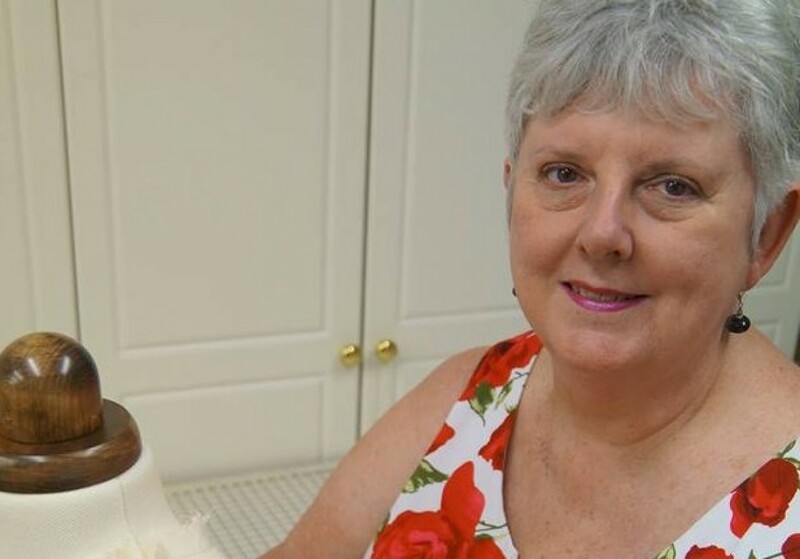 It is certainly a lovely dress to wear, especially lined with a silk and cotton mix which keeps me comfortable in the sticky heat of late summer (the weather did not know it was Autumn!). The fabric was lighter in weight than I had remembered and, since I decided to use couture methods of construction, I decided to add a sew-in interfacing around the neckline and armholes to keep the dress in shape and support the piping. The pleated drape across the front of the dress has been supported with a shaped backing made from firm soft cotton. The seams of the bodice and skirt have been catch stitched in place so they would not move out of place during wear and laundering over the life of the garment. 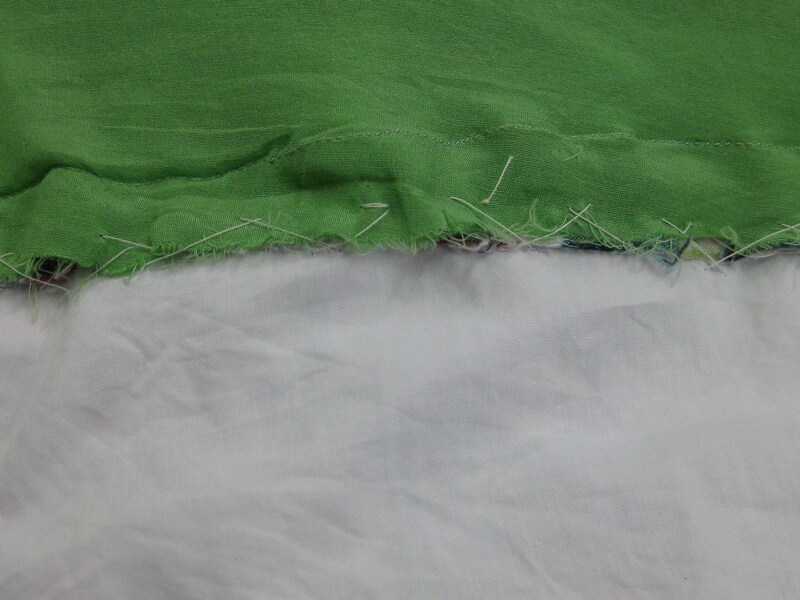 Seam allowances stitched to mid section fabric. I drafted a “facing shape” on the original bodice front and back and traced this off as a pattern for the lightweight Shapewell sew-in interfacing. 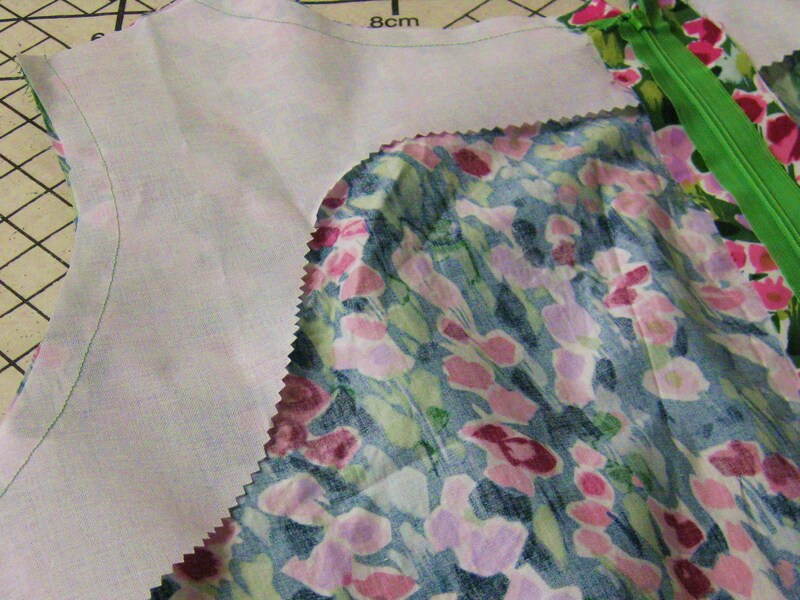 The interfacing was tacked to the seam line around the neck and armholes which were then staystitched and clipped in both the dress and lining. Sew in interfacing tacked in place to support neckline and armholes. 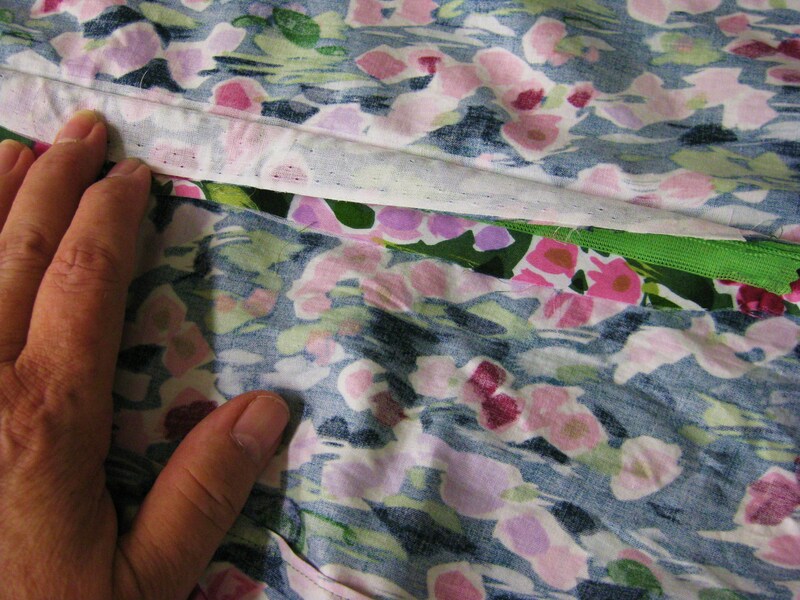 A strip of lightweight fusible interfacing was applied to the centre back seam to support the weight of the invisible zipper. 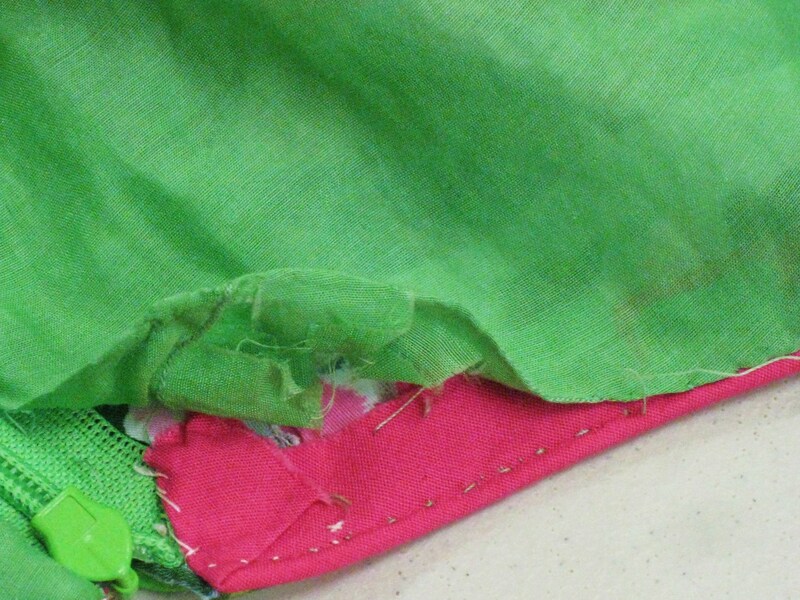 Once the zipper was installed, the tapes were attached to the interfacing at the top of the zipper – the stitch used is a catch stitch. Seam allowance tacked to interfacing and tape folded back and stitched in place. I made the piping from cotton cut into bias strips, wrapped around rat tail cord and machine stitched using a narrow piping foot. After pinning the piping around the neckline and armholes, I tacked it in place close to the cord and caught the flange to the seam allowance and interfacing (using a catch stitch). 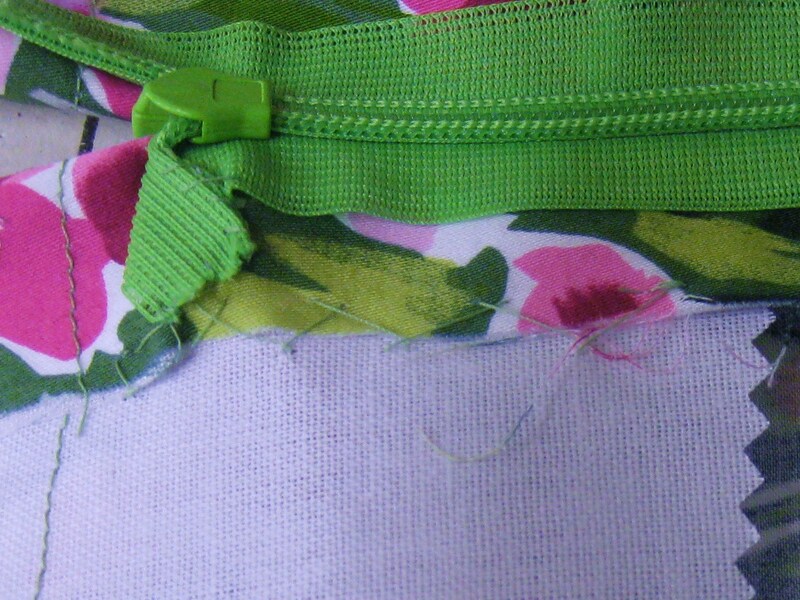 I then fell stitched the folded edges of the lining just under the piping cord. 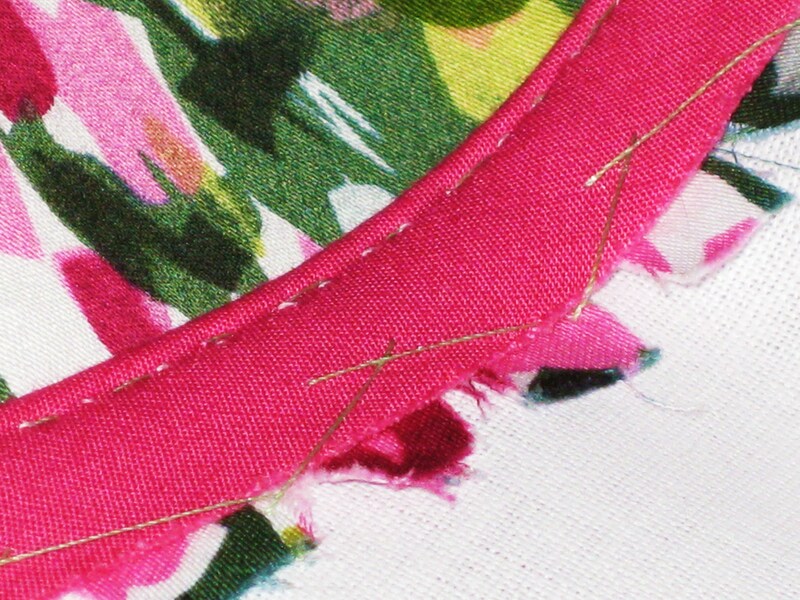 The ends of the cord were trimmed so they do not overlap at the underarm seams or centre back seam. Piping was hand stitched to neckline and armholes and machine stitching removed from piping to give a softer finish. Lining fell stitched to neckline, armholes and along zipper tape. The silk and cotton lining has been hand stitched (using a fell stitch) to the zipper tape and the seam allowances between the bodice and backing fabric and mid section and skirt have been stitched together to avoid the possibility of the lining riding up. Lace has been hand stitched in place to finish the lining hem. 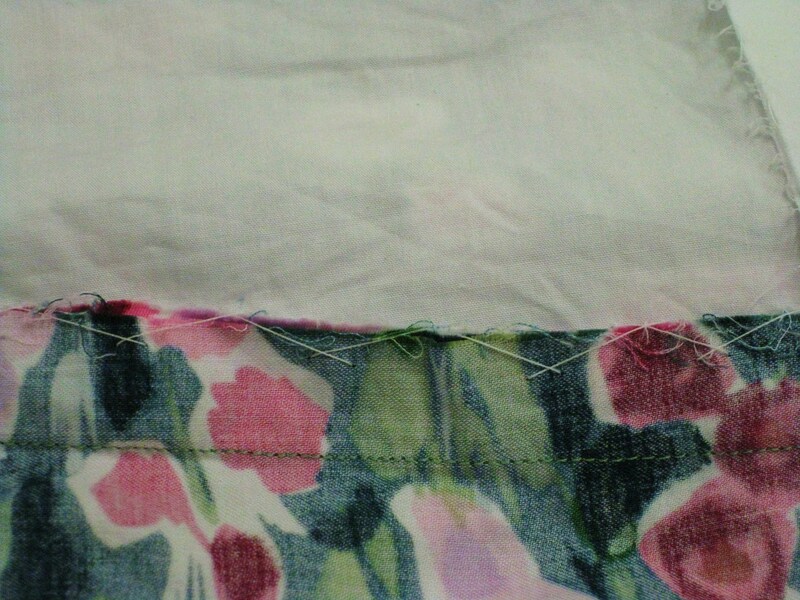 Lining mid section hand stitched to garment seam allowance at top of skirt section. 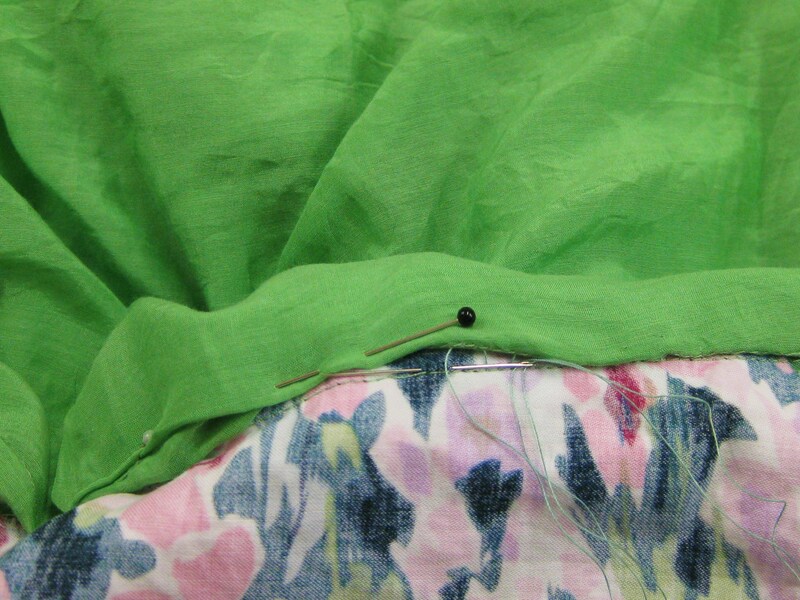 Lightweight fusible interfacing has been applied in the hem allowance before the edge was finished with rayon seam binding (Hug Snug) and stitched by hand. 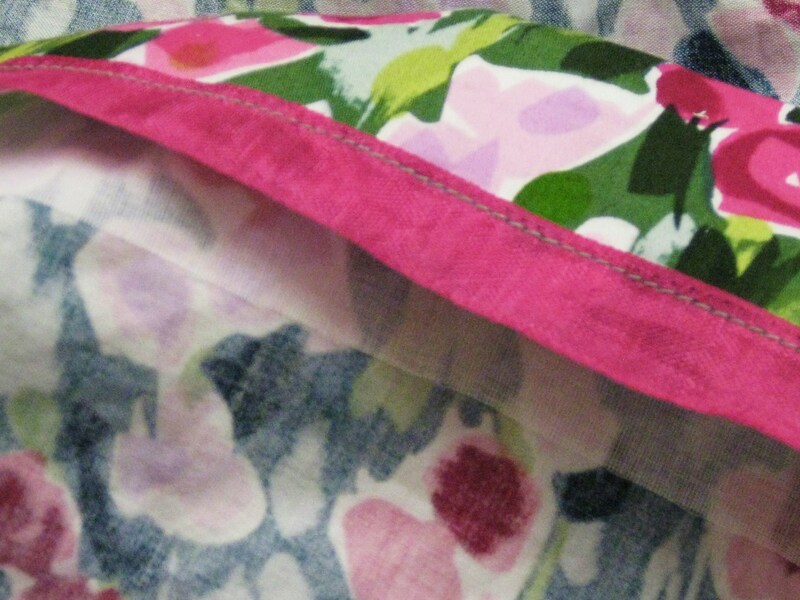 This keeps the hemline in shape with this lightweight fabric. 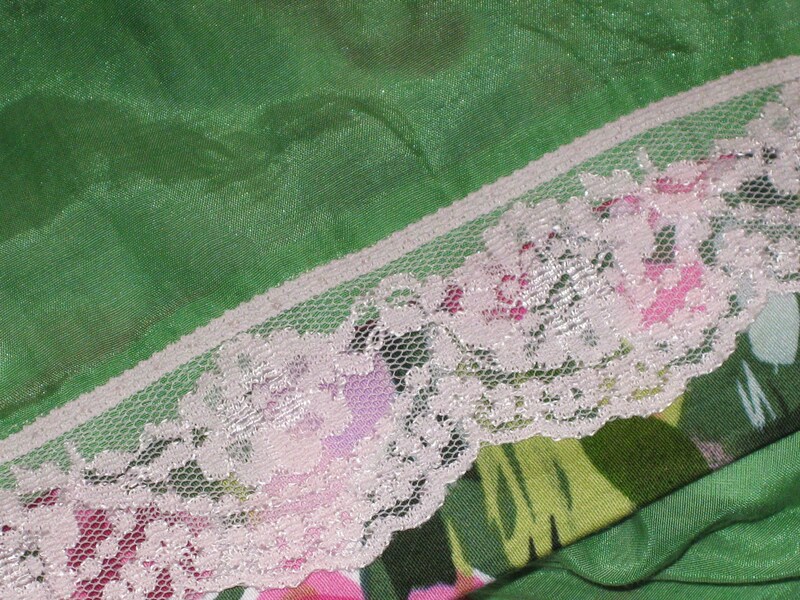 Lace added to hem of lining. I thoroughly enjoyed wearing my “garden party” dress to Tina’s wedding. It was comfortable all day and evening and I am sure I will wear it a lot more next summer.